This is the EM-11 2Z Temma 2 mount mounted on the Takahashi EM-200 metal tripod. It is in perfect condition with some marks on tripod legs. I am selling to finance a larger mount. This comes with all the necessary cables and no power supply. Power is 12 volt. The mount will handle about 7 kg easily and is surprisingly light weight. The mount is pictured with a FC100DF which is also for sale listed above. The price for the mount and metal tripod is $3750 plus PayPal and shipping. 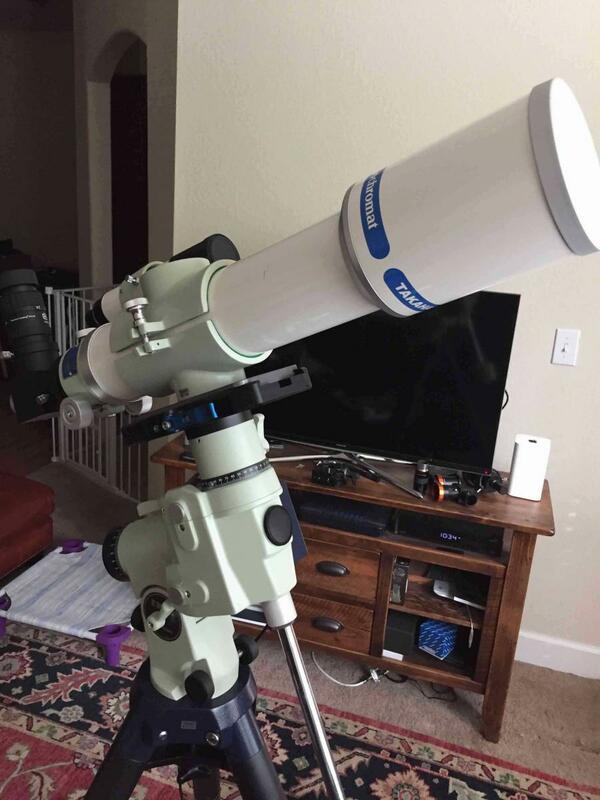 If you want to include the scope I will sell for $4500.